Though at times it seems like New York City is the burger world’s epicenter, living down here in Philadelphia really has its advantages. Along with easy access to top level spots like Good Dog and Charlies Hamburgers, a quick drive in any direction (even north to Gotham) offers up some great burger opportunities. This night a few buddies and I headed 30 minutes south of the border to purchase our holiday stock of wine and beer in the fine state of Delaware and decided to top off the night with a stop at the quintessential burger joint- The Charcoal Pit. I’ve been going to this place since I was a kid and have tons of fond memories of trips with my dad to grab a burger and a shake. My buddies had never been before but within seconds I think were convinced of its authenticity. Ripped straight from your most idyllic memories of Al’s on the TV show Happy Days, this 1950’s quick service spot features tight booths with individual juke boxes, great roadside architecture and one of the best neon signs around. 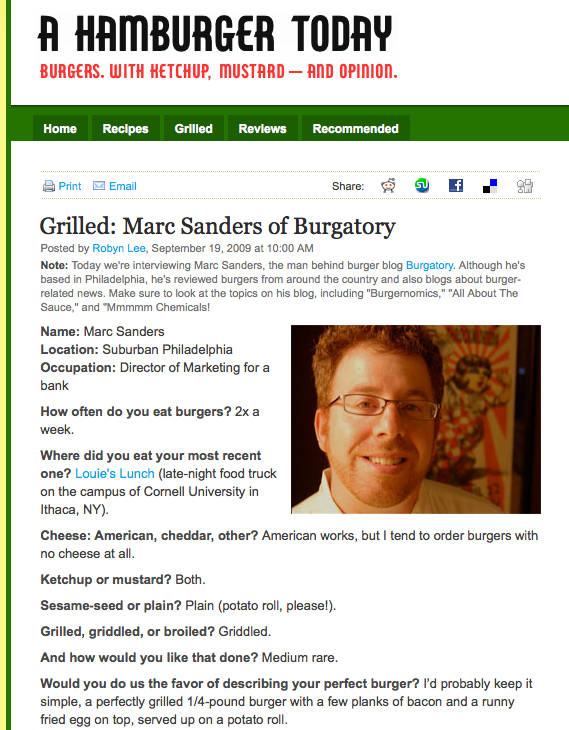 As the restaurant name implies the burgers are broiled over charcoal, providing a truly rare treat for the taste buds. What you end up getting is a flavorful burger that due to the high heat is more or less seared on the outside thus ensuring the insides remain juicy (and deliciously greasy). 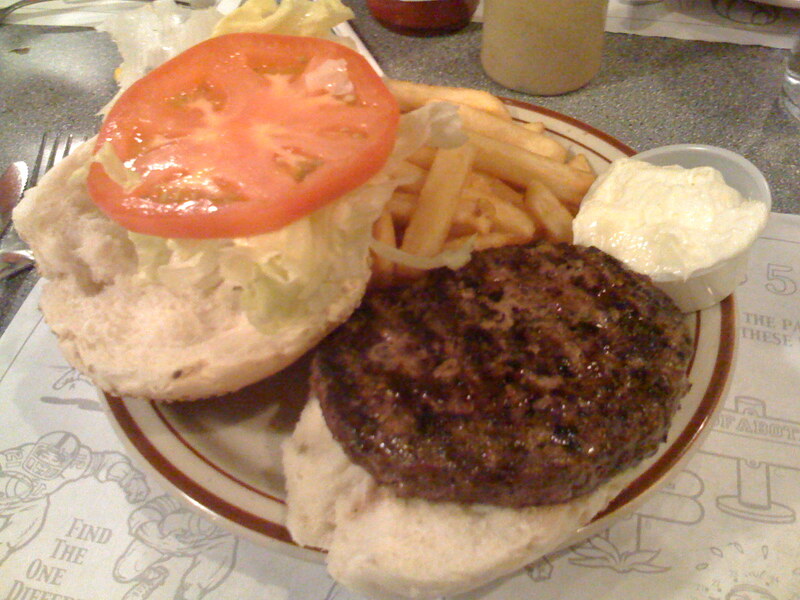 The burger is densely packed and no doubt retains a lot of its original 8 oz. size. The authentic grill marks appear to remind you that yes you have a grill in your backyard which hypothetically should allow you to cook a burger this good…but sadly you won’t be able to match it. The Charcoal Pit is a mini-chain with four locations. The original North Wilmington location where we went is on the highly trafficked Concord Pike and was pretty close to the town where I went to high school making it a great hang-out spot (if only for the thrill of driving across state lines).